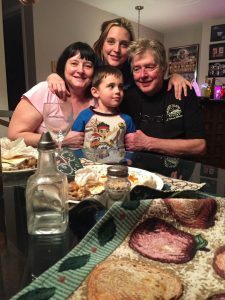 In January 2015, we were called upon to come babysit our little Grandson Dean as the in-laws needed a two week break to visit their place in Florida! We gladly accepted to see our little man again, as we only get to see him a few times a year! 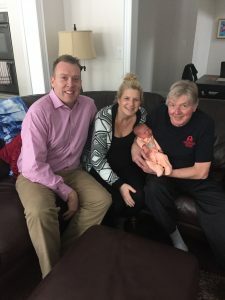 We spent two great weeks in Barrie and had a great time with the little man and our daughter and her her husband! 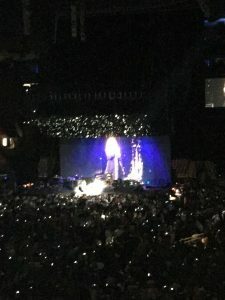 We also took in a Fleetwood Mac concert which was on our Bucket List! It was an amazing concert and we were thrilled to see that Christine McVie had rejoined the group for this concert tour! 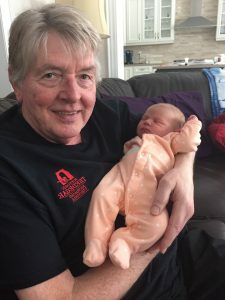 We also got to visit Hubby’s oldest daughter in Oakville as she had a baby on January 22nd! It was an amazing visit with so many great people! But alas all good things come to an end when Hubby came down with Gastro and spent three days in bed before we left! We managed to get back to the Rock but it has taken Hubby a month almost to get back on his feet from such a terrible illness. He is on the mend now and we are getting trough winter here in St. John’s. Bring on Florida I say in April!